It’s a truck! It’s a store! It’s the world’s biggest Rick! 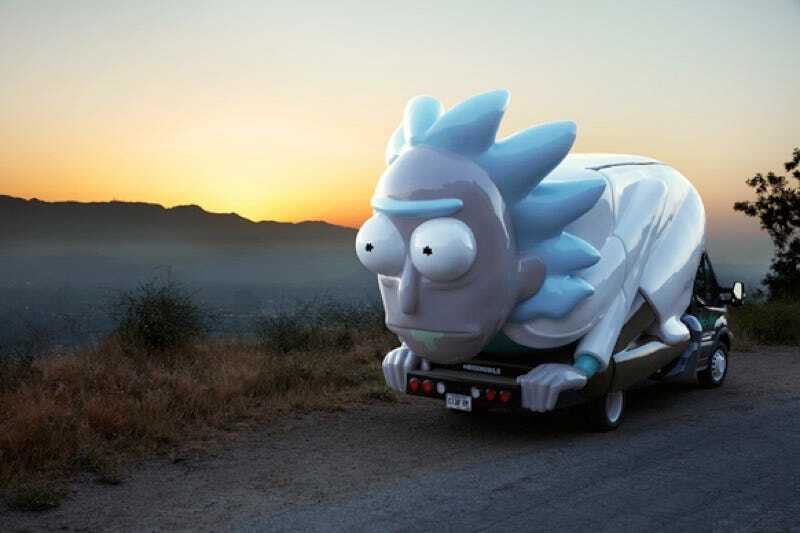 Adult Swim is hitting the road in “the Rickmobile,” a vehicle that will be hauling exclusive Rick and Morty merchandise under its lab coat. You can’t actually take a ride in the Rickmobile, but you can marvel at its magnificence. Check out the dates for the “Don’t Even Trip Roadtrip” pop-up shop tour here; it begins May 11 in Atlanta and will hit pizza parlors, comic-book shops, movie theaters, donut joints, and other fine establishments across America through October (with extended stops at the Comic-Cons in San Diego and New York). Hey, Why Not Give Us the Rest of Season Three Now While You're at It? 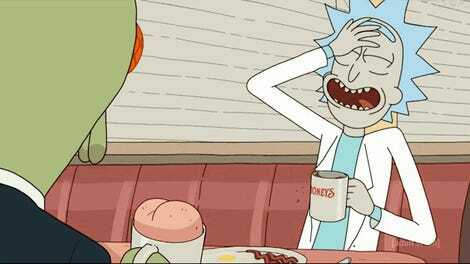 So, What Did You Think of Rick and Morty&apos;s Season 3 Debut?